^^^ Who the **** is this retard? Do I know you kid? I didn't realize you were stalking me and have my CC receipts and even cash purchases. If I see you outside my window you ****ing pervert I'm gonna give you a beating your dead beat dad should have. Where O' where do I start?? You accuse me of talking trash?? Yet who's flip'd their wig here? name calling etc etc.. Listen, I don't give a **** what you believe or don't believe, I have what is called a LIFE, which is already pretty busy so it's downright retarded for me to sit down and entertain childish arguments. 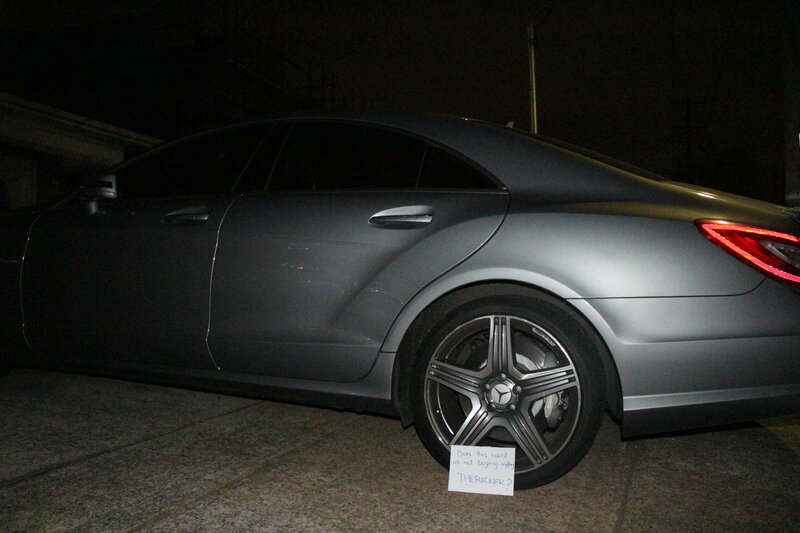 Why aren't you out driving your new, errrr used/salvaged cls63 w/huge door scrapes down Left side, wheels beat up etc etc? [size/] I'm just really intrigued about some people's personalities and behaviors here. I mean grown men talking trash and trolling on an internet forum. Probably bought their cars on a loan with massive interest to fill some void they have, so pathetic and sad really. By the way that was really creepy that you quoted me from another thread, damn that's good stalking right there, Charles Manson would be proud of this level of creepiness. Now what I said in that post is, the CLS63 didn't come with the M156 so I wasn't sure what car to get it in, not that I didn't want a CLS63 that has an M157 which is a completely different topic. I'm in the market for a C63 Black Series and actually about to get one in the next week, that's why I was asking about the Maggie. I have a really stupid and crazy idea.....let's stay on the topic of the thread or at least close to it like I was instead of talking smack like toddlers. I'm honestly dying of laughter right now. Mercedes should do a character check before selling their cars and there should be a requirement for a character check even in the used car market because some people are dragging the brand down to the bottom of the barrel. My MAIN point about you is.. In the last 5 odd yrs, you've been in every main thread concerning Aftermarket Turbo's kits/Superchargers/Pulley's/Tunes/Wheels/Bodykits/etc etc & ask incessant Q's grilling the Tuners of said items about Pricing/Soonest Availability/Dyno's/etc & NEVER EVER BOUGHT A SINGLE Aftermarket Turbo/Supercharger/Bodykit etc etc etc modification PERIOD..
Last edited by Thericker; 11-23-2015 at 02:28 PM. probably same reason "the ricker" remembered all the dumb post he read from you. I mean grown men talking trash and trolling on an internet forum. Imagine that As somebody already said, "Pot meet Kettle"
I'm in the market for a C63 Black Series and actually about to get one in the next week, that's why I was asking about the Maggie. I have a really stupid and crazy idea.....let's stay on the topic of the thread or at least close to it like I was instead of talking smack like toddlers. Last edited by gaspam; 11-23-2015 at 03:29 PM.